Ride ‘n Fly. – Life Is Such A Sweet Insanity. So today I met up with my flight instructor and another student for a flight. 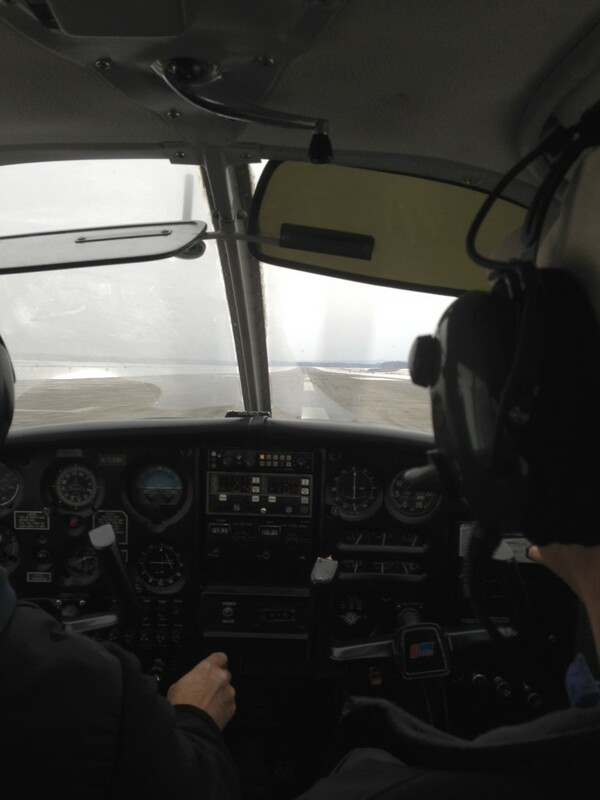 The plan was that I would fly in the backseat as the other student flew; tomorrow would be my hour lesson. I was really excited about flying today because I had never seen another student pilot in action and observing others significantly contributes to my learning process. Plus, my last flight (a month ago) was the first time I had ever flown in this area and I found myself wanting to commit the landscape to memory, much like I had done when I flew with Dad and Gramps back around my hometown. I was very happy to see the weather was cooperative. 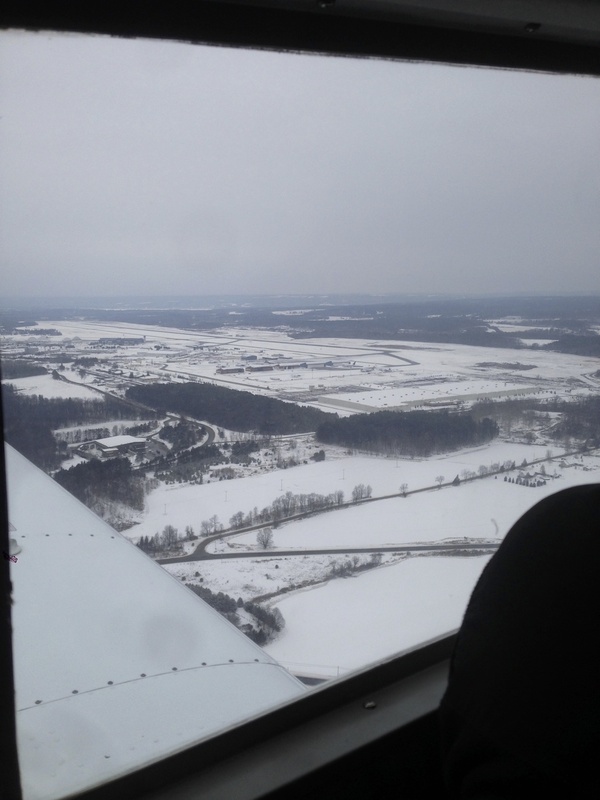 The other student was actually doing a check ride; while he had soloed, he hadn’t flown in a while due to a medical injury and he needed the check ride to make sure that he remembered everything he was suppose to remember. 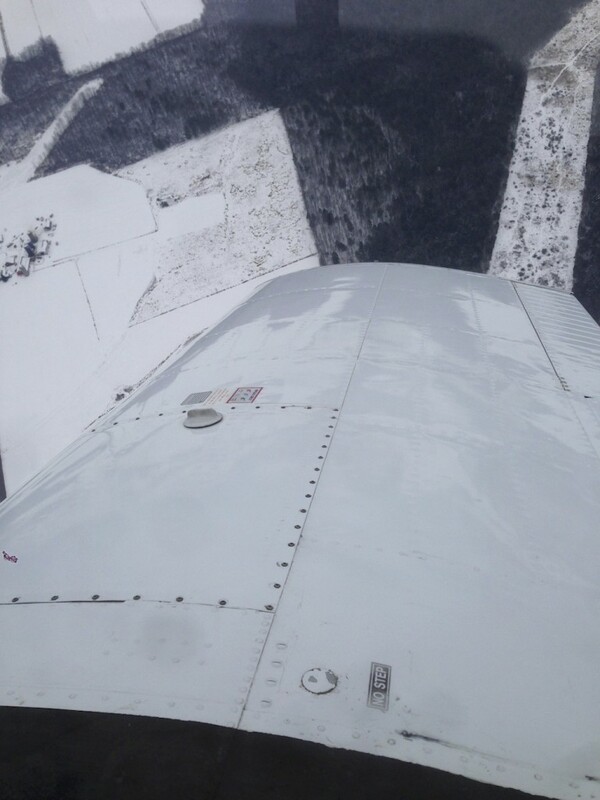 The flight included some steep turns in the practice area and then some work in pattern, including a short field, emergency-like landing, which was a good experience that I am looking forward to knowing how to achieve myself. We did a few touch ‘n goes. The instructor wanted me to pay close attention to the radio work so that I would start getting a handle on that. 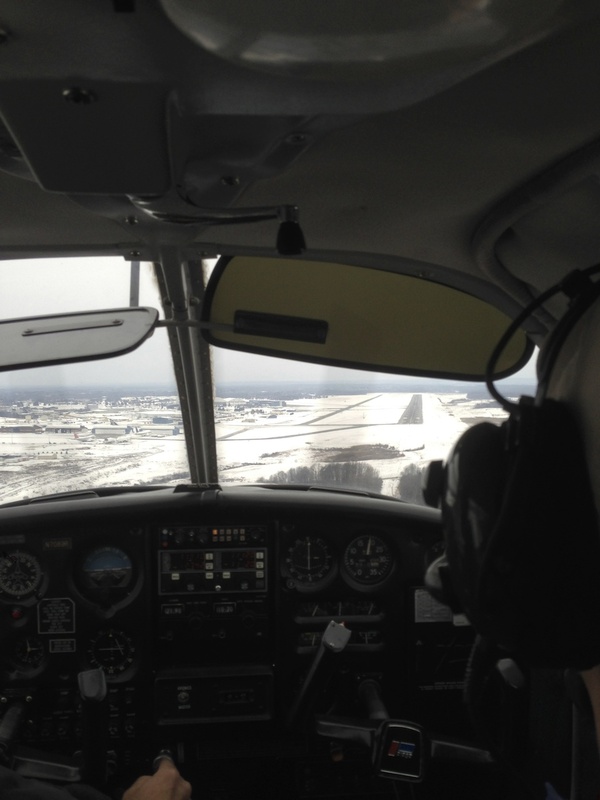 After the student completed his check ride, we had a quick “chinese fire drill” and I hopped in the pilot seat with the other student in the back. Today I started working on fundamentals: I did some of the radio work, worked on thinking outside of the cockpit and using the horizon as my primary point of focus and getting a better feel for the Cherokee 140. Since there was another student scheduled at 1300 ET, I only had a chance to fly for a half hour today, but the instructor had me fly over the house and surrounding area. 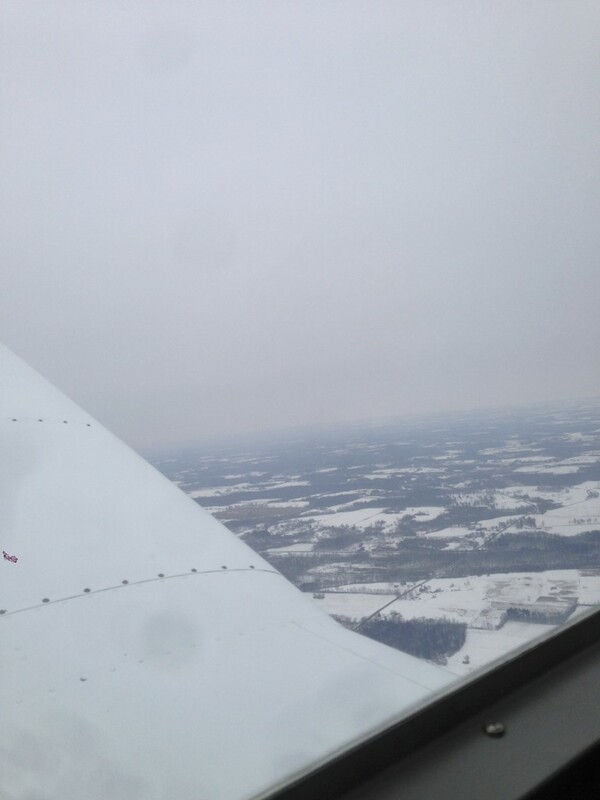 It was the first time that I had flown over the house from a small plane and it was awesome. I did some turns in the immediate area and then headed back to the airport, where we flew over the house again on approach to runway 33. With a lot of coaching and still needing a lot of practice, I landed the plane and brought it back to the hangar where the next student and his instructor were awaiting his turn. I am so excited about today’s experience for a couple of reasons: seeing another student in action boosted my confidence a lot. Having only flown with certified pilots my whole life, it’s good to see another on his path learning just as I am. I also found myself much more comfortable with the radio work than I expected to be. Granted, my instructor told me what to say, but I felt confident on the radio today and I was a little surprised at this. 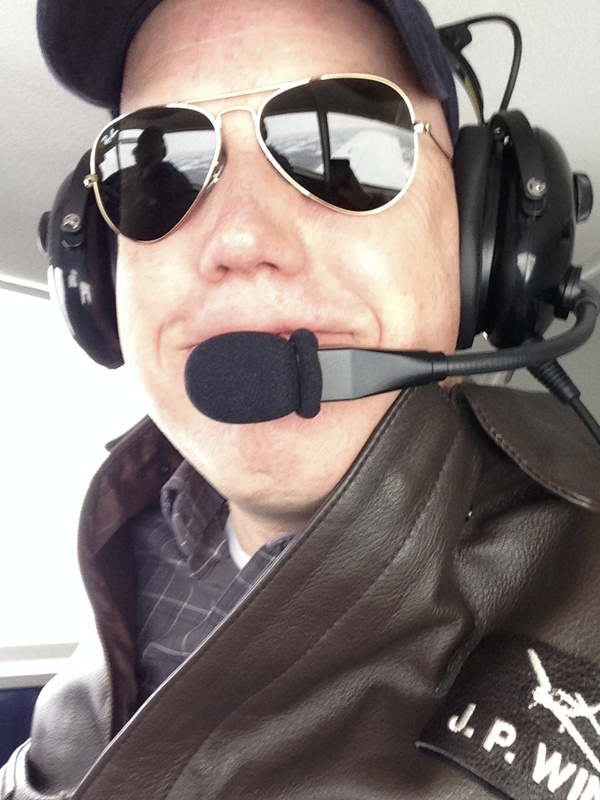 This was also my first flight with my very own headset. My ground school videos and the reading I have been doing helped me have a better “feel” for the Cherokee today. I’m not just going through the checklist, I’m starting to know the purpose behind each check during my pre-flight, flight and landing procedures and it’s starting to make sense in my head. I really hope we get to fly again tomorrow. If the weather doesn’t cooperate, the plan is I’m going to sit in the plane in the hangar and become more familiarized with where the controls are, so I don’t need to read, I will just know. The “brum brum” sounds will be optional. The photos below are from the first half of today’s hour with me in the backseat. Not a clear day but still quite smooth. The look of a very happy man.